Guys, it’s been four years since I first read this book and the ending legitimately never gets easier to handle. Reading the book or even watching the movie leave me curled up in a ball of sadness wishing for a longer infinity for one of my favorite literary couples. I actually just watched the movie a few months ago and it’s honestly phenomenally done and I would recommend both the book and the movie to literally everyone. Hazel Grace has cancer. She walks around with a breathing machine that keeps her alive but she doesn’t see the point in living anymore. Everywhere she goes, every extra day she lives, she does for her parents. She goes to a support group every week but sees no point. Until she meets Augustus. 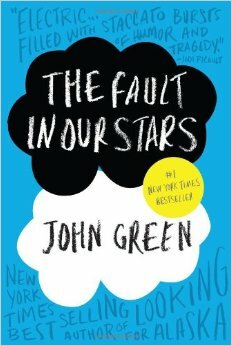 Hazel introduces Augustus to one of her favorite novels and soon has him hooked on the story and the future of those characters after the story. They both desperately want to meet the author of the book but find out that he is a recluse who lives in Amsterdam. Augustus uses his wish from The Genie Foundation, an organization that grants one wish to cancer kids, to get Hazel, him, and Hazel’s mother a trip to Amsterdam.